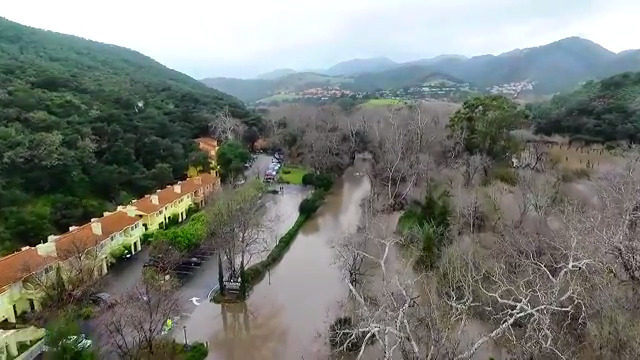 Cal Fire evacuated 60 people from Sycamore Mineral Springs Resort in Avila Beach on Friday afternoon because of flooding. Rising water in the nearby San Luis Obispo Creek flooded the area of the hotel on the north side of Avila Beach Drive. The buildings in that area of the resort are on stilts. Water rose to the bottom of those buildings. Avila Beach Drive is also flooded along with a portion of the main parking lot. Guests were taken by golf carts to waiting buses and transported to hotels in Pismo Beach. Watch a video of the flooding.